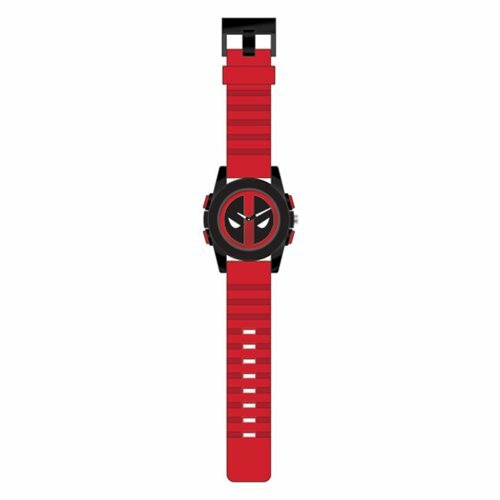 Have the Merc with a Mouth by your side by picking up this Deadpool Logo Dial Black Sport Case Red Strap Watch. The watch features the Deadpool logo with lack rubber straps. Strap measures approximately 8 1/2-inches long and the face is about 1 3/4-inches in diameter. Watch comes packaged in a displayable box. Ages 6 and up.